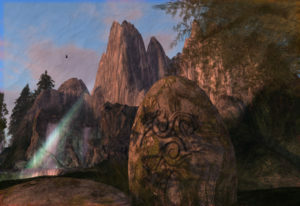 It started with a screenshot of a Second Life place, at the right angle. I could see that bird of prey flying. And then I thought of these old pencil drawings from the 19th century. Applying a couple of effects on it, and voila.